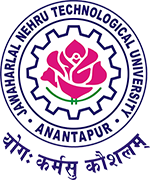 JNTUA B.Tech/B.Pharmacy 2-2, 3-2 Sem Academic Calendar For A.Y 2018-19, jntu anantapur II, III year II semester academic calendars for academic year 2018-19. The Mid-term Examinations should be conducted both in the morning (9:00 AM to 11:00 AM) and afternoon (3:00 PM to 5:00 PM) sessions and they should be completed as per the schedule given. All the midterm examinations shall be of both subjective and objective type as per the academic regulations. I Semester Supplementary examinations will be conducted immediately after II Semester end examinations.